The Tam O’ Shanter Restaurant on Los Felis Boulevard in Glendale was the venue for the celebration of Burns Night on January 25th and 26th. 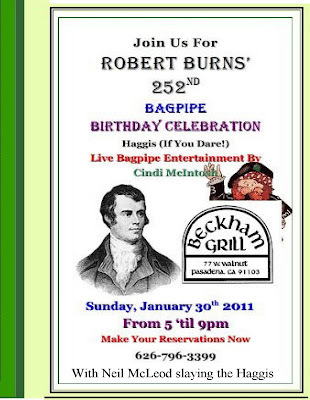 The pipes were played, the dancer danced, songs were sung and the haggis, carried in by Chef Ivan, was slain at every sitting. In short a ‘guid time’ was had by all. 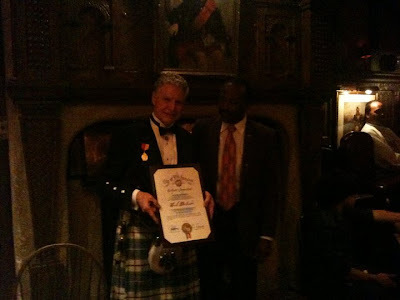 My big dirk was brought out for the thirty first year, and this time Isaac Burks, the Arts and Culture envoy from Councilman Tom Labonge’s office, appeared and presented a certificate of appreciation. 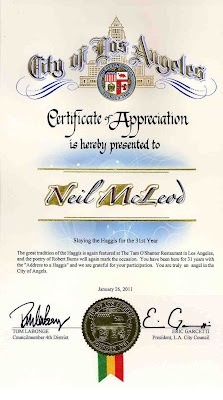 I was deeply touched and honored to have received such an accolade for having so much fun all these years in our great city, and for being able to share the occasion with so many close friends and family. Looking back I thank Tom Girvin for introducing me to this event in 1978. In 1980 I took over his part in presenting Robert Burns' famous "Ode To A Haggis"
The Burns schedule is very busy this year I have eighteen Haggis to slay. I start in Fresno this week end for the Scottish Society of Central California Burns Night, when I shall be talking about Auld Lang Syne, and stabbing the Haggis. 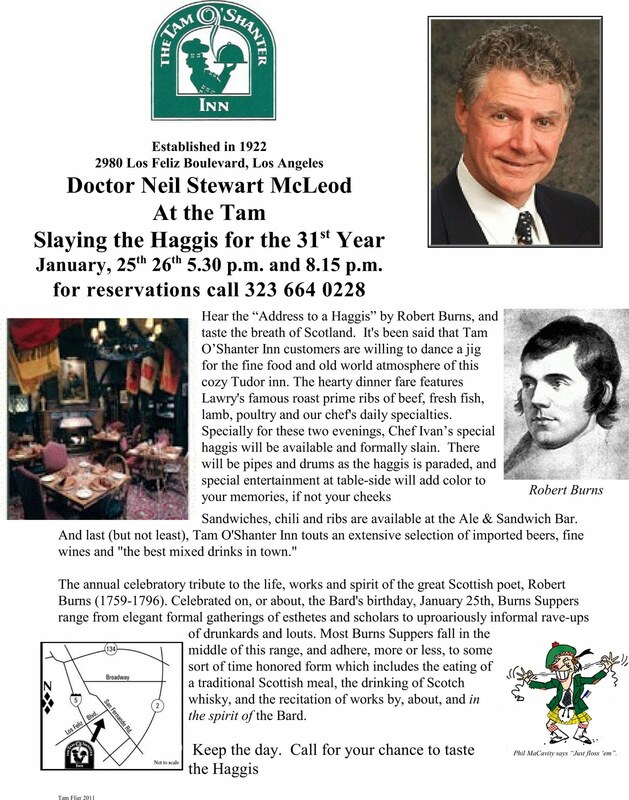 Midweek, and on the birthday of Burns itself, January 25th and 26th, the Tam O' Shanter Restaurant has me slaying the haggis at each sitting for two days. That is twelve haggis unzipped before your eyes. Ivan the Chef will be with us to carry in his fare. 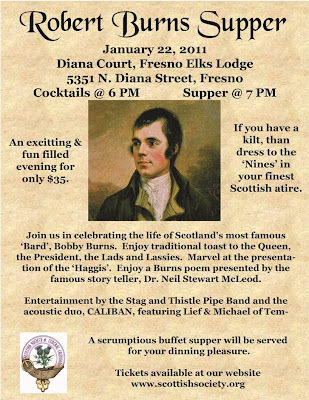 Friday 28th is the night when the Faculty Club of CalTech hold their Burns Night at the Athenaeum. 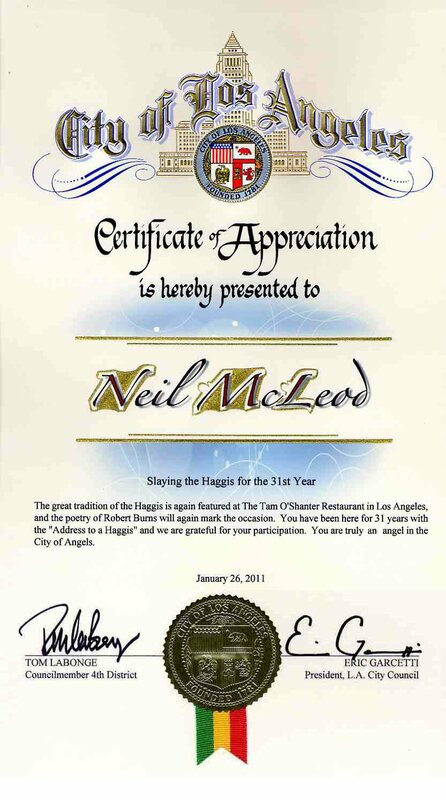 Their Chef Kevin, does a wonderful haggis for which I shall enjoy performing the traditional ode. 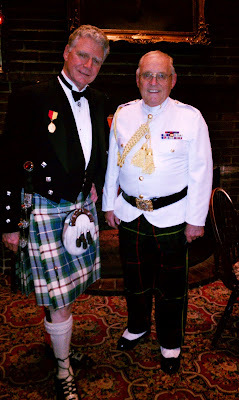 Jan Tappan's Scottish Fiddlers will be performing as usual. My address will include the "Cottars' Saturday Night", one of Burn's greatest works. 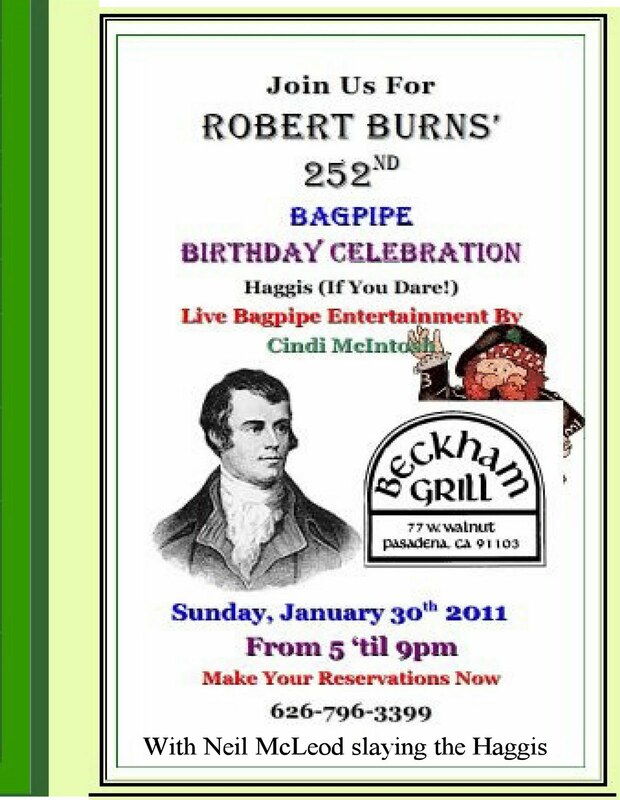 Finally a new addition to the rounds, Beckham's Grill in Pasadena is hosting their Burns Night with Cindy McKintosh the piper. 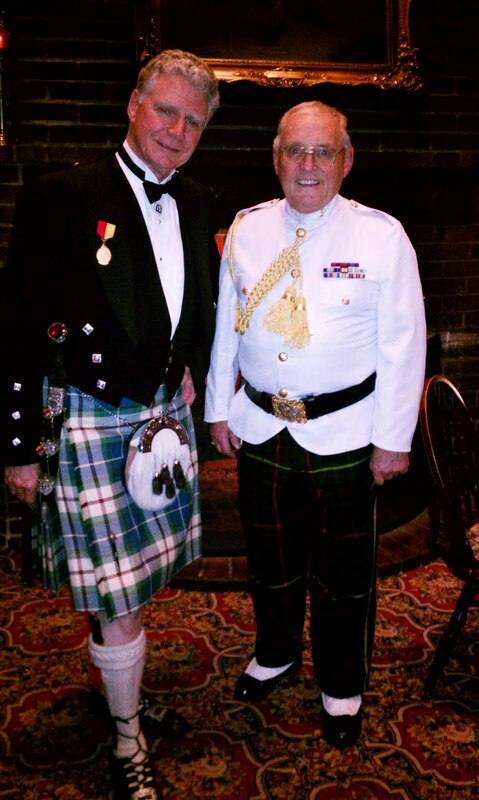 Their haggis is going to be from the kitchen of Alex McGilivray, the renowned piper, who played for me when I sang at Raymond Burr's funeral some years back. This incident really occurred and the irony of being condemned by a completely innocent remark must I am sure be shared and ring true with others. So here at Burns' Time is a story about whisky. Here it is! 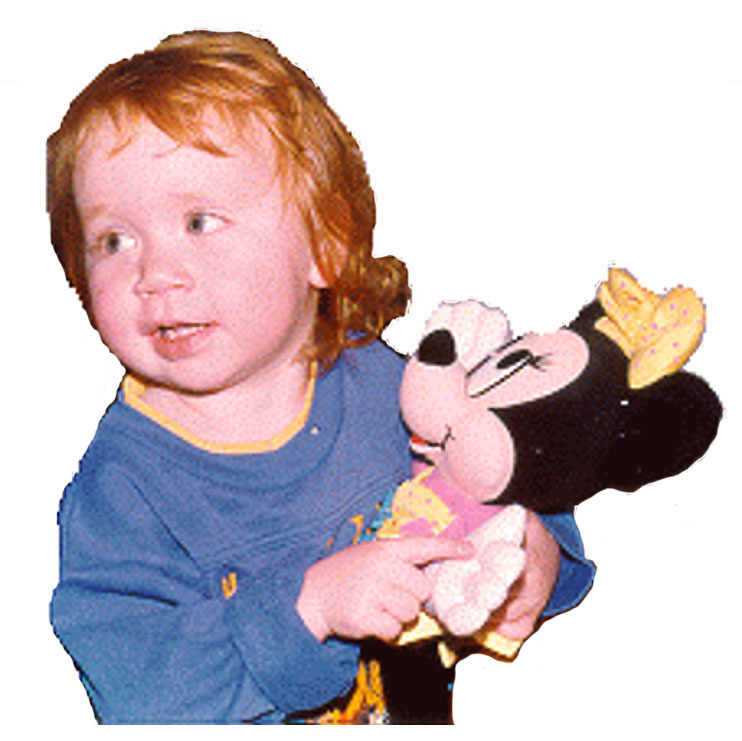 When the apple of my eye gave me a start. The question that my daughter asked was telling.